Trisha has been the CQC Registered Manager/ Practice Manager for the The Whiteley Clinic Bristol since it opened in 2014. The Clinic is located within Litfield House Medical Centre where, in addition to her role for The Whiteley Clinic, she is also the Business/Practice Manager. Having been in this role since 2004, she has full responsibility for the day to day running of the building, staff, compliance and finances. 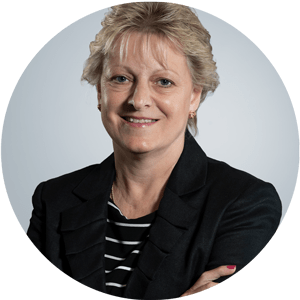 Since joining the Medical sector in 2004, she has gained a vast amount of experience in Health and Safety, CQC compliance, maintenance, marketing, project management and hosting of events. Previously to this she worked in the commercial sector in financial and senior management roles and spent eight years as a financial controller for a freight forwarding company. Trisha is married with 2 grown up children and one grandson. In her spare time she enjoys walking, swimming, listening to a wide range of music, cooking, entertaining and enjoying good food and wine with friends and family.